Upon Reaching At Nagpur Railway Station or Airport, Our Representative Will Meet and Transfer You to Tadoba. Upon Arrival, Check Into the Wildlife Resort. Later, Be Fresh and Enjoy a Delicious Lunch. After That, in the Evening You are Free to Take Pleasure of a Nature Walk, Followed By Dinner and An Overnight Stay in the Resort. Early in the Morning, the Jeep Will Pick You Up from the Resort for the Jungle Safari. It is the Best Time to Sight Various Birds Stretching Their Wings. Besides the Birds, Various other Wild Animals Will Be Waiting to Greet You. After the Jungle Safari, Come Back to the Resort for Breakfast. Savor the Breakfast, Then Lunch and Then Again Head Off for An Evening Jeep Safari Into the National Park. in the Evening, You have More Chances of Sighting Tigers. After a Sumptuous Breakfast, We Will Leave for Our Next Wildlife Destination in the State. in the Morning, We Will Drive to Nagzira National Park, Located Within the Northeastern Corner of the State in Bhandara District. this National Park is Often Referred to as the Green Oasis of Vidharba Due to Its Beautiful and Dense Forest. upon Arrival, Check Into a Wildlife Resort. in the Evening, You are Free to Enjoy a Nature Walk in and Around the Resort, Followed By Dinner and Overnight Stay. Today, Early in the Morning, a Jeep Will Wait to Take You On a Safari Into the Nagzira National Park. Being a Home to Various Animals, Nagzira is the Best Destination to Spot Wildlife. Bask in the Wilderness of the Park and Later Return to the Resort for Breakfast. Before Lunch, You are Free to Relax and Post Lunch You Will have to Get Ready for the Evening Jeep Safari Into the Park. 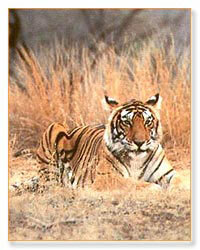 In the morning after breakfast, we will leave for Pench National Park, the other jewel within the itinerary. The Park is nestled in the Southern slopes of the Satpura ranges of Central India, comprising of 758 sq kms area, out of which a core area of 299 sq km is the national park and remaining 464 sq km is the buffer area. Upon reaching Pench National Park, check into the wildlife resort. In the evening enjoy a pleasure walk to the nearby forest or one can opt for a visit to the sunset point near Kohka dam. Dinner and overnight stay at resort. Today we will explore the reserve twice for its morning and afternoon scheduled jungle safari. 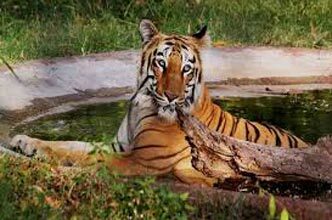 Pench National Park is especially famous for large herds of Gaur (Indian Bison), Cheetal, Sambar, Nilgai, Wild Dog and Wild Pig. The main predator is the Tiger followed by Leopard, Wild Dog and Wolf. Other animals include Sloth Bear, Chousingha, Chinkara, Barking Deer, Jackal, Fox, Palm Civet, Small Indian Civet, Jungle Cat, Hyena, Porcupine etc. Get up early in the morning for the final jungle safari to the national park before leaving. After completion of the morning safari, get back to the resort for being fresh and having breakfast. Later on this day, leave for Nagpur to connect for the onward travel.